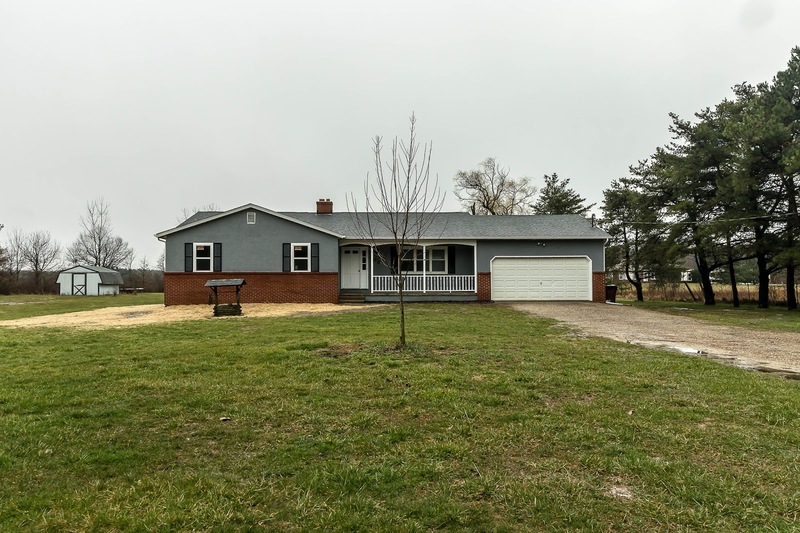 Beautiful Ranch Home with over 1,700 SF on nearly 5 acres with woods, stocked pond, fenced pasture area and barn (stalls could be added by new owner). New wood floors in Entry, Kitchen & Family/Hearth room in 2018. New windows, roof, furnace, interior/exterior paint, updated Baths & more! Spacious Living Room and Dining Room with new carpet. Family/Hearth Room has brick fireplace and walks out to a Three Season Room and patio with outdoor fireplace. Owner's Suite with updated Full Bath. Full Basement (ready to finish). 3 BRs & 2 Full Baths. Licking Heights schools. Only $274,900! Call DeLena today!